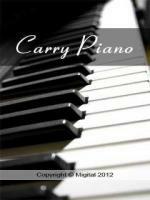 You don't need to buy an expensive piano to carry on with your passion for music. This music based app gives you opportunity to create new tunes & music on a perfect piano! So lets get started!